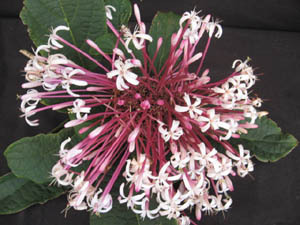 One of our best sellers, this Clerodendrum will fill your garden with the 4th of July spirit in the early spring months. 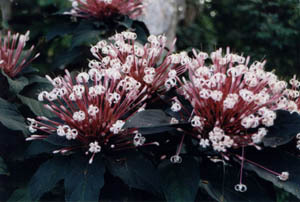 The bursts of blooms that resemble a fireworks display, lasting about 4 to 5 weeks. This tall fast growing bush with burgundy backed leaves will have everyone complementing you. An amazing eye-catcher.